It’s very exciting for me to announce that I will be teaching a 3-day live runway and studio fashion workshop, which will be happening in the midst of Palm Beach Swim Week the weekend of November 6-8! During this workshop, students will learn to shoot fashion in studio during the day and photograph the runway live from the photographers’ pit in the evening. I’m honored to be teaching such a fabulous workshop at the place where I found inspiration during Foto Fusion just over fifteen years ago. This workshop is limited to 12 students. 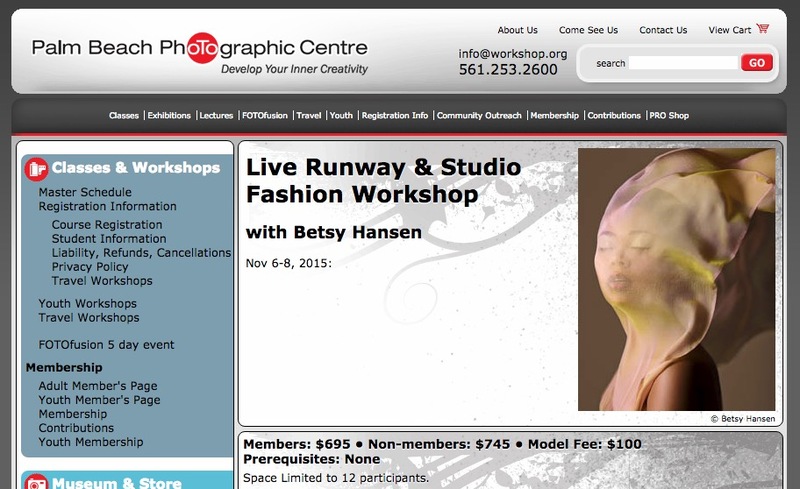 Find out more information and register at Palm Beach Photographic Center.